Here is a quick article on thought-forms, energy balls, chi energy and psionics. This article will help you understand exactly what it is I am talking about in some of my other posts and how some of my energy healing projects work. I use these things with my paper radionics machines and Youtube videos to make them work effectively. I will probably update this article with more thoughts in the future but for now it seems pretty complete. Psionic energy is bascially a thought-form with chi energy added to it. Chi energy is just another term for Qi, Mana, life force, the force that sustains life. 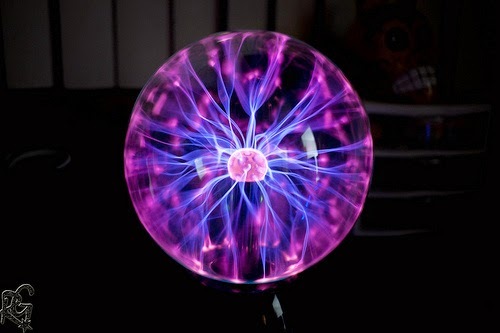 The life of this thought-form usually starts out as a ball of energy called a psionic ball, psi ball or chi ball. The ball form is the easiest way to create this mass of pure, invisible energy. First the user creates the ball of energy and during the process the programming begins to be added to it. Before I begin to create my thought-form energy balls I create a list of things that I want my energy ball to do and I add chi or psi energy to it. That's it. I make it sound simple, which it is for me, but it can take years to figure this stuff out for yourself. The thought-form is the intention. Any basic psionic energy ball has basic programming and a basic intention with its most important programming being to not just disappear as soon as it is created. If you are new to creating energy balls/psi balls then this is what your energy ball will do.. it will just fizzle out and disappear into nothingness. If you can't make a psi ball stay then you cannot program it to do anything else. Thought forms are simply those things that you think about with enough emotion and belief that they become real. Thought forms are not magickal or mystical in any way. Anyone can create a thought form but without enough emotion, strong visualization and a strong belief your thought forms will vanish as soon as you think of something else. An example of a strong thought-form is when you are trying to manifest money. For some, manifesting money is easy. But why is that? Because they have been practicing manifesting money and most likely many other things for maybe 5 years or more. People who can manifest more money into their lives believe that they can, that it is easy, and they can visualize the outcome easily. To successfully be able to manifest money you have to have at least some of these things. Manifesting money into your life is no easy feat for others. A lot of times it takes a whole lot of changes from within first because of your subconscious beliefs about money. Subconscious beliefs that may have been placed there by parents or other dominant figures in your life. Beliefs such as "rich people are evil" are basically thought-forms. It is created from thought, emotion, belief and energy. Thought-Form creation can be compared to meditation or any other manifestation type technique in the sense that when you meditate to manifest something you have a picture of what you want to manifest in mind. The meditation process of silencing your mind helps the thought-form picture go to where it needs to go for it to begin to take form. The place where the thought-form goes gives it energy to manifest. So you have a thought-form picture and energy in both of these cases. With techniques like reiki, Qigong and others you always start with energy and then the image of what you want to happen/intend/manifest is added. The reiki symbol is like a thought-form. It contains within it the intention of what you want to happen. It is a thought-form and again you give it energy to be able to affect a change. Without the energy nothing will happen. Everything is made of energy. Thought itself is energy. Emotion is energy. Thought with emotion is a stronger form of energy. Thought with enough energy can do things you can only imagine and wouldn't even think is possible. You only really learn how real this all is when you experience it yourself. Reading this article and not actually experiencing it can make the whole thing seem silly and impossible. Only when you try it yourself with an open mind will you find how truly amazing it is. You will also be more likely to agree that there is more to this world than you currently experience and there is a lot out there that you are not knowledgeable about. Are thought-form energy balls safe? Energy balls are absolutely safe. As long as the thought-form is positive it is safe. The energy used is healing energy so it has a certain amount of love, compassion, gratitude... all that good stuff... in it. What are energy balls used for? Energy ball thought-forms are made to bring about some kind of change in the environment, in the body, in plants, and in the mind of a person. They can help you to accomplish something such as the energy balls I create for healing and manifestation. I use them for a lot of my work. The energy ball holds the intention you have given it. It's like someone meditating for a specific outcome for you and you don't have to do the meditation yourself. That could mean it is meditating for you all day, for weeks, months, years, etc., depending on the length of time you set the energy ball thought-form to run it is holding that intention for you for that amount of time. Energy balls can be created for lots of different types of things, almost anything you can think of really. As long as it is given enough energy and the right programming it will do the job you ask of it.